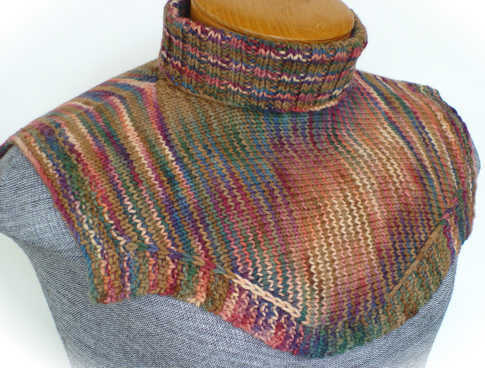 The variegated yarn used in this version works up especially nice in the side-to-side Dickey - showing off the yarn's colors as vertical stripes in the yoke played off horizontal striped ribbing in the turtleneck collar. With written stitch instructions. Tension 5 stitches/inch on 4.5 mm needles suggested. Shown in lamb's wool.